Welcome to the Academies of ISD! The Academies are personalized small learning communities, within each of our high schools, guiding students toward success in their chosen career. 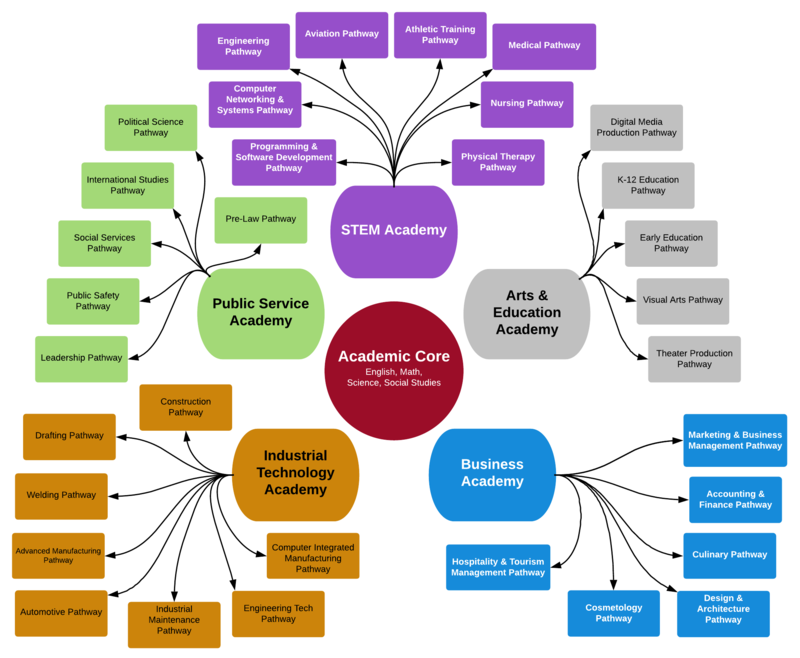 Students get to choose their Academy based on the ten-year-plan they create as freshmen. Students are able to complete academy requirements within the regular school day, with the possible exception of some internships. A College and Career Academy involves teachers from different subjects working together as a team. Team members have shared planning time and will work together to make sure students’ classes are complementary and all focused on reaching the same career goal. Staff also spend time in area businesses to ensure their teaching matches workplace demands. Academy instruction gives students an advantage in many ways: offering a large number of courses for college credit, creating job shadow and internship opportunities, and preparing students for professional certifications. Career Academies have been shown to improve classroom engagement as students are seeing the relevance of educational material and how it will apply to their chosen field. Career Academy students show higher attendance rates, better grades, and fewer discipline issues. The ISD is moving into the future and taking students with us. We ARE inspiring greatness.